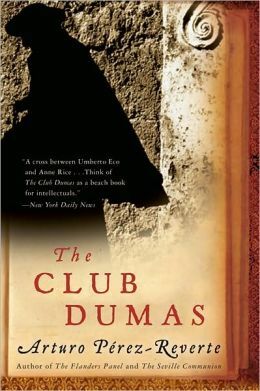 Arturo Pérez-Reverte’s El Club Dumas/The Club Dumas (1993) tells the story of Lucas Corso, a kind of book detective or bounty hunter, who tracks down rare books and manuscripts. In this book he gets tangled up with a bunch of Alexandre Dumas fanatics, and one of the places he visits in the course of his investigations is Sintra. We are told that ‘Corso era un mercenario de la bibliofilia; un cazador de libros por cuenta ajena’. In Sintra these days you might need such an investigator to find a bookshop of any kind.